Bali, an island, and province in Indonesia is a popular tourist destination. The capital of Bali is Denpasar which is situated in south Bali. The island is a home to most of the Hindu minorities of Indonesia. Bali is famous for tourism, temples and the rice terrace. The island is also famous for its architecture and performing arts. 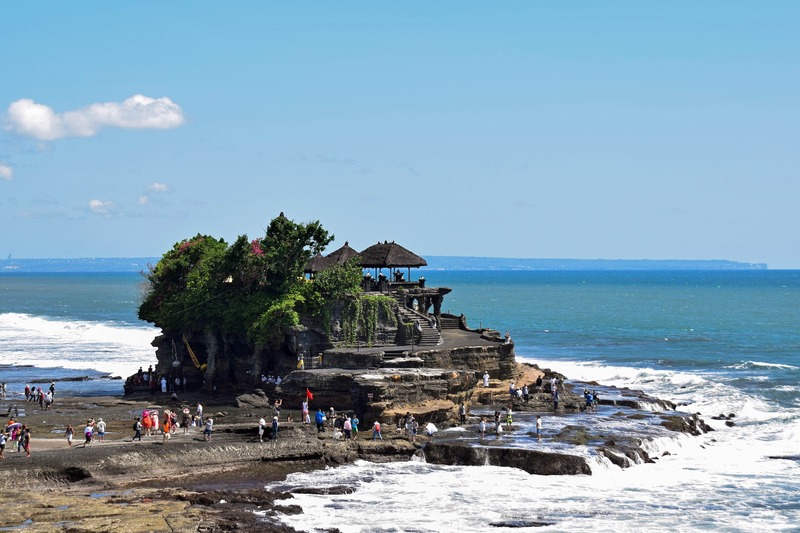 80% of Bali’s economy is generated through tourism-related services. What are the things to do in Bali? Let us see in this blog post. Ttourism is expanded since 1970 after the opening of Ngurah Rai International Airport. The airport was built foreseeing the volume of incoming tourists for holidays. Bali has been voted by the travelers around the globe as one of the preferred holiday destination. With active volcanoes, rice terrace, beautiful temples, amazing architecture, crystal clear beaches, coral reefs and cultural dances, Bali has much more to offer for everyone. Bali is the favorite destination for family holidays and Honeymooners. Bali can be divided into 3 parts for tourism. North Bali, Central Bali, and South Bali. Northern Coast consists of Singaraja, Lovina beach, Air Sanih, and Banjar. The northern region of Bali is less explored due to its distance being far-away from the airport and separated by the mountains. The leisure travelers find their way towards the northern region to spend their holiday at their pace from the bustling traffic in South Bali. Central Bali consists of mountains, lakes, paddy fields. Since the Central Bali is mountainous, the population is less here and native people are found here living with traditions. People who wish to stay far from the crowd, prefer Central Bali. The regions in Central Bali are Ubud, Bedugul, Tegalalang. The Central Bali is mostly countryside regions which provide a peaceful atmosphere and a lot of trekking options across the lands and to the mountains. South Bali consists of regions such as Denpasar, Seminyak, Legian, Kuta, South Kuta, Sanur and Nusa Dua. Tourists flock South Bali during holidays. Traffic is high in South Bali compared to the other regions of the island. South Bali is well developed with many beach resorts are built here. A lot of activities are available here from day tours, traditional dance, watersports and adventure activities. 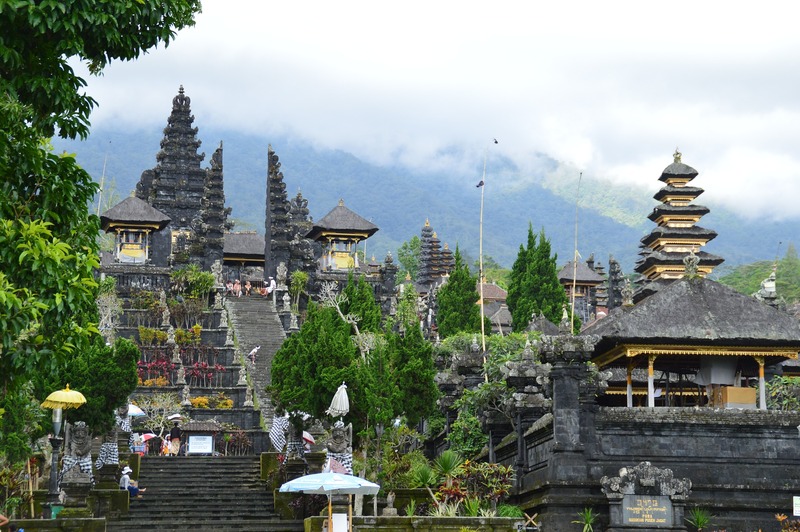 Bali is home to a majority of Hindus in Indonesia. Temples built centuries ago can be seen in Bali. With beautiful architectures, these temples are located near to the coast and offer photographers to click some spectacular shots. Some of the famous temples in Bali are Uluwatu temple (located in a cliff in the south-west tip), Besakih temple (located in the east Bali), Tanah Lot temple (west Bali), Ulun Danu Beratan Temple (lakefront temple), Taman Ayun temple (Ubud), Saraswathi temple (Ubud), Temple Of Lempuyang Luhur (East Bali). The pleasant rice fields of Ubud should not be missed in your itinerary. A walk in the Campuhan ridge is highly recommended as this lets you enjoy the fresh breeze and looks cool and green all around. You can also stroll in the Tegalalang rice terrace which is further 10kms north of Campuhan ridge walk. Balinese dances are traditional dances which are part of religion and it is intensively expressive. The dance is a form to express and convey the culture of Balinese. 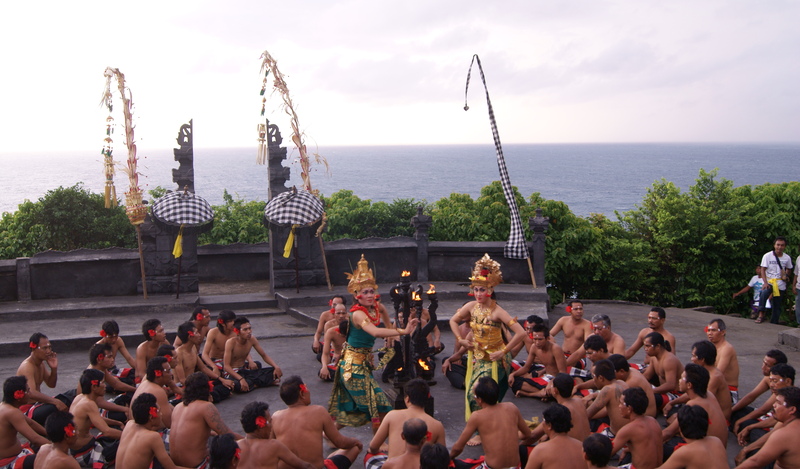 Some importance dance forms are Kecak fire dance & Barong dance. Legong of Mahabharata and Ramayana Ballet conveys the stories of important epics of India such as Mahabharata and Ramayana respectively. Bali has a traditional and religious connection with India. Add this event to your things to do in Bali check-list. 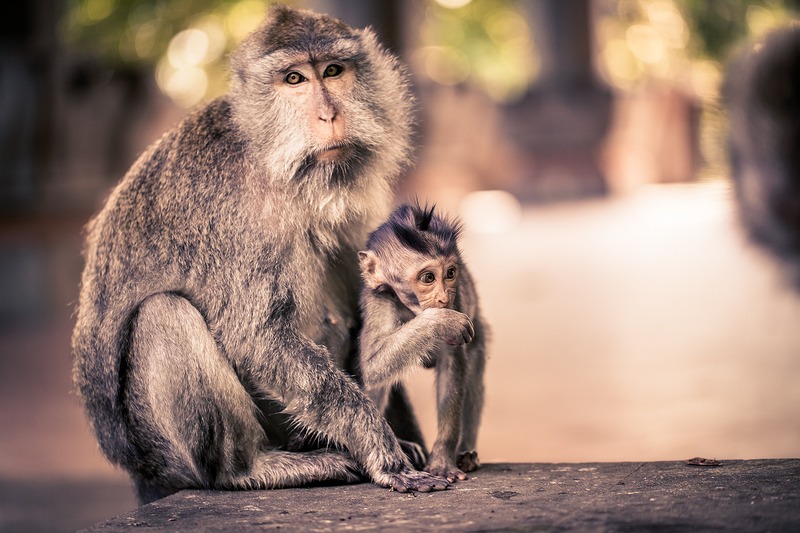 To the west of Ubud is the small forest called as “The Sacred Monkey Forest”. This place is calm and rich in nature. You can find monkeys all over this place. There are a different group of monkeys living in this forest. The staff in the park feeds the monkeys and it is better for the tourists to avoid feeding monkeys as monkeys are very active and they might attack if the food is not provided on demand. The Monkey Forest houses 3 Hindu temples. Bali Bird Park is located in Gianyar regency, east of Ubud which can be reached from the airport in an hour drive. 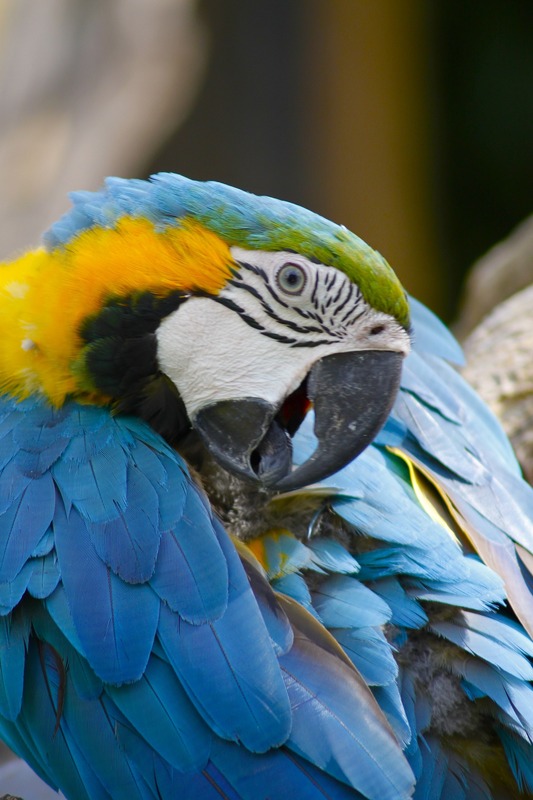 The park houses more than 1000 birds over 250 species in an enclosed aviary. You can have a close interaction with the birds in the park. You can read the reviews of the Bali Bird park here. Bali Safari and Marine Park are situated on the east coast of Bali in Gianyar regency. Established in 2007 by the Taman Safari Indonesia this park is unlike zoo where the animals roam around in a large enclosure which imitates their natural habitat. You can go for a jungle safari in a safari bus to watch the animals. You can spend an entire day in the Safari park to complete the experience it offers like Safari journey, Elephant back safari, Waterpark & Fun zone. There are few shows to be watched in the park. Do not miss it. Safari park is best for the family trips. If you want an amazing experience of the safari, Bali Safari and Marine Park should definitely be in your check-list of things to do in Bali. The island offers some of the best beaches in the world. 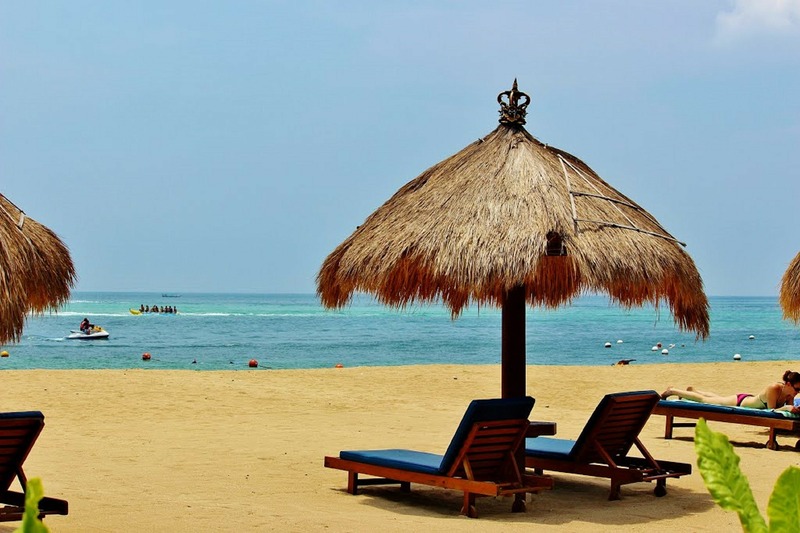 Some of the beaches in Bali are Kuta, Sanur, Nusa Dua and Uluwatu in the South Bali and has white sands. The Lovina beach is located in the North Bali in the Singaraja which is less frequented by the tourists. Black sands are found on this beach. Dolphin tours are available from Lovina beach. 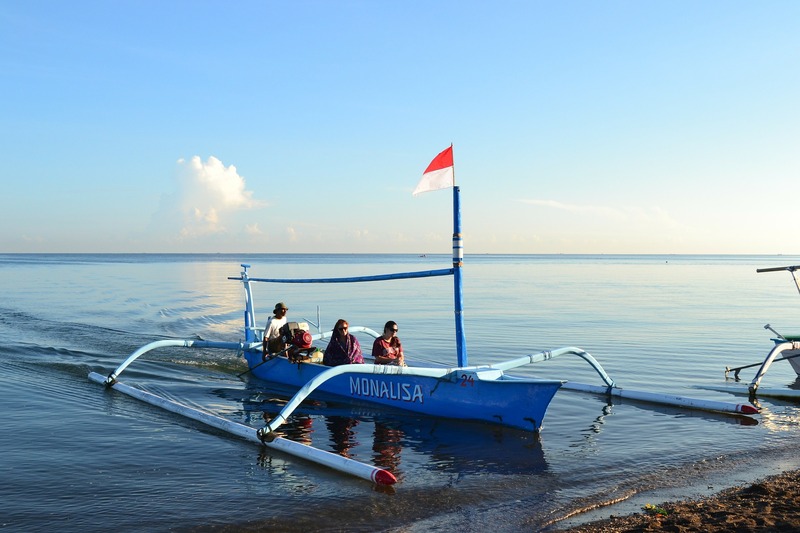 Tourists can pay and go for Dolphin tour just 1km from Lovina beach in Balinese boats. Tourists who wish a peaceful holiday, proceed to North Bali as the South Bali are crowded. It takes approximately 2 hours from the Bali airport to reach Singaraja. A must see in the list of things to do in Bali is the stage performance, Devdan Show, Treasure of the Archipelago in Bali’s Nusa Dua theatre. The 90 minutes show leaves you stunned. It explains the different islands of the Indonesian archipelago. The show is combined with music and dances and keeps everyone engaged all through the show. The show performs 4 days a week (Monday, Wednesday, Friday, & Saturday) at 19:30 hours. You can book the tickets 3 months in advance. 4 categories of tickets available. VIP, A category, B category and C category, ranging from USD 40 to USD 115. You can enjoy 10% – 15% discount when you go in groups of 3 and above. 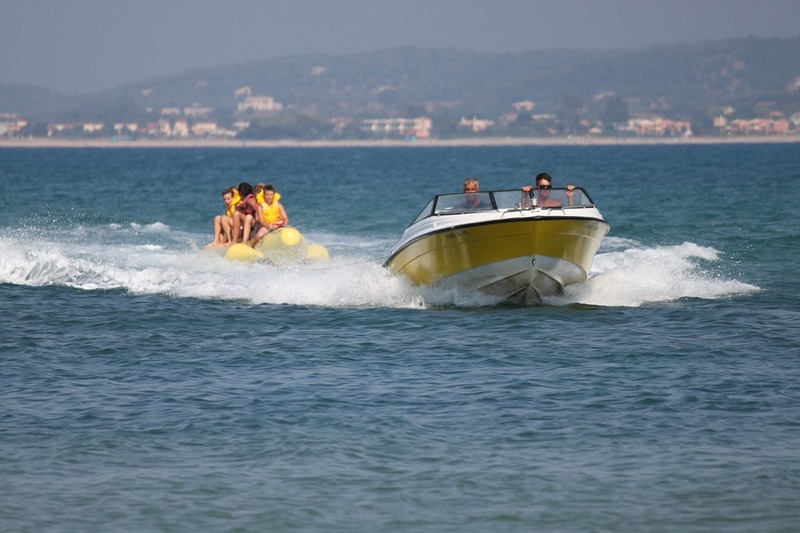 Water sports are one of the main activities or things to do in Bali. Available water sports are Surfing, Snorkelling, Scuba Diving, Sea Walk, Banana Boat, Flying Fish, Kite Surfing etc. Dine in style on board the dinner cruise and watch the setting sun in the middle of the sea. You can choose from the variety of cruises available like Dinner cruise, evening cruise, day cruise etc. Enjoy musical and dance events on board. Rice is the staple food consumed with vegetables, meat, and seafood along with spices. Balinese cuisine is influenced by the Indian and Chinese cuisine. You can even attend a cooking class in Bali and learn the method of cooking the Balinese dishes and taste it on your own. Do not miss it to add to the things to do in Bali list. You have many options for accommodation to choose from. Hotels, Homestays, Bed & Holiday Rentals etc. If you wish to have more activities, you can stay in South Bali and if you want a more secluded place, you can stay in North Bali. Here are some recommendations for the hotels. Apart from these hotels and resorts, you can opt for holiday rentals where you can get good deals for a long stay. You will get homes with a kitchenette and you can cook on your own by procuring the raw materials from the nearby markets. Bali is well connected. Ngurah Rai International Airport or Denpasar Bali airport is the International airport located in Kuta region. Bali is well connected with America, Europe, Australia and most Asian countries. Speedboats are used for the inter-island transfers. Cab services are the best mode of transportation in Bali. Blue Bird taxis are common in South Bali. With Uber in action, you get cheaper rides across the island. Coach travel can be preferred to travel from South Bali to North Bali as it will be more comfortable and cheaper. Bali located near to the equator experiences tropical climate throughout the year. The monsoon in Bali starts from October and prevails till March. During this period the tourist crowd will be less, hotels giving huge discounts except during Christmas and New Year season. The local currency of Bali is Indonesian Rupiah (IDR). USD is accepted on the island. The rate of exchange is 1 USD = 13505.00 IDR. Credit cards are used widely in the standard hotels, restaurants, and stores with a surcharge. It is better to have some cash for the local expenses like the taxi, small eateries etc. ATMs are available in many places. Check with your bank for the withdrawal charges while planning. Things to do in Bali – What should not be missed? When creating the list of things to do in Bali, you should not miss Gili Islands which is nearby Bali. 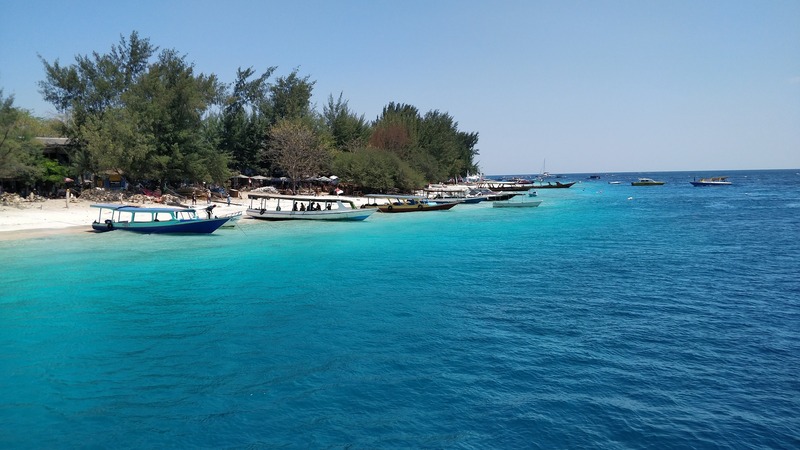 The Gili islands are a group of islands “Gili Trawangan, Gili Meno and Gili Air”. Whats special in these small islands? Motorised vehicles are banned in the islands. 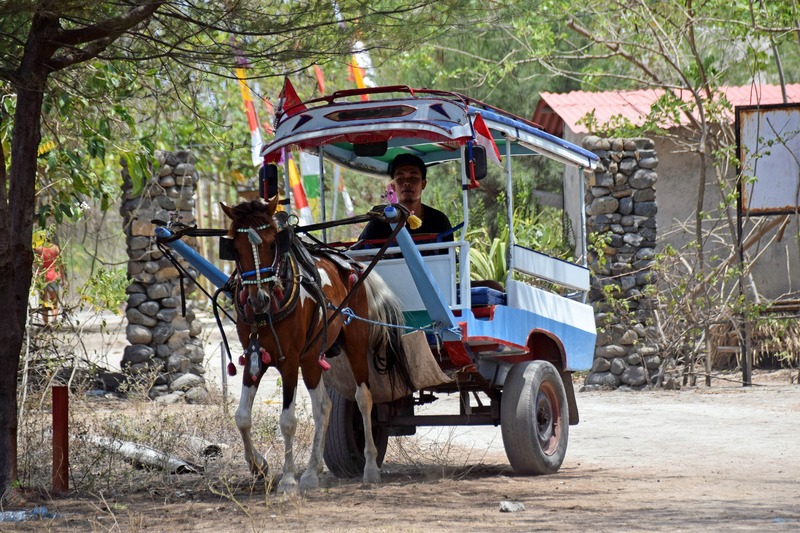 Cidomo, a small horse cart is used for transfers of tourists in the Gili Islands. The cart is usually decorated and colorful. Go for snorkeling, scuba diving, surfing in the turquoise sea. Though being a part of Lombok, Indonesia, these islands are famous among the divers which is rich in its marine life. 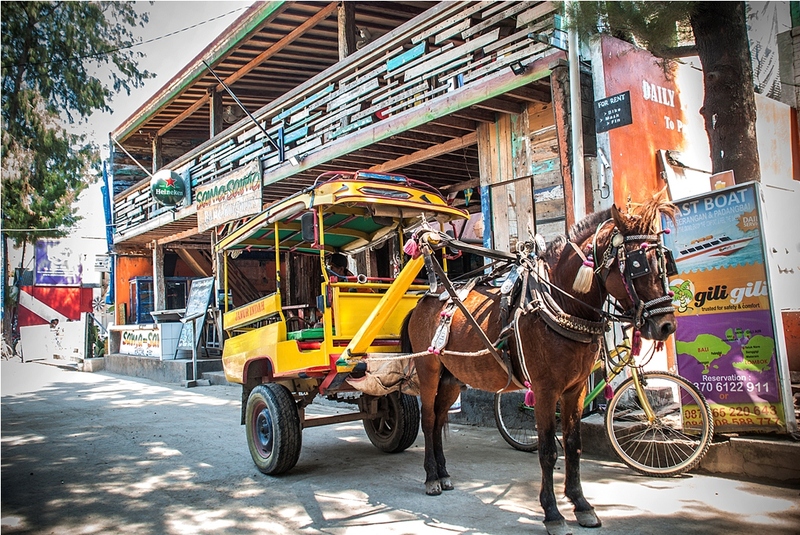 There are cheap hotels and guesthouses available in Gili islands. Visit sea turtle hatcheries, enjoy wakeboarding, parasailing, and kayaking. Shop for souvenirs, bargain for the best prices. The initial price quoted is not the final price you pay. Plan your 2018 trip in advance and make use of the promotion fares offered by the airlines and save more. Happy traveling! !